Please contact Mickey Guzman or Christina Gonzalez at 978- 534-3145 to register your child. 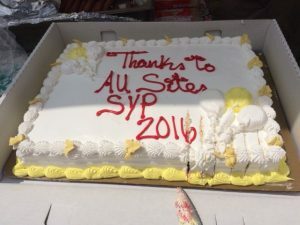 They can give you updates on specific locations for Summer Youth Program sites. 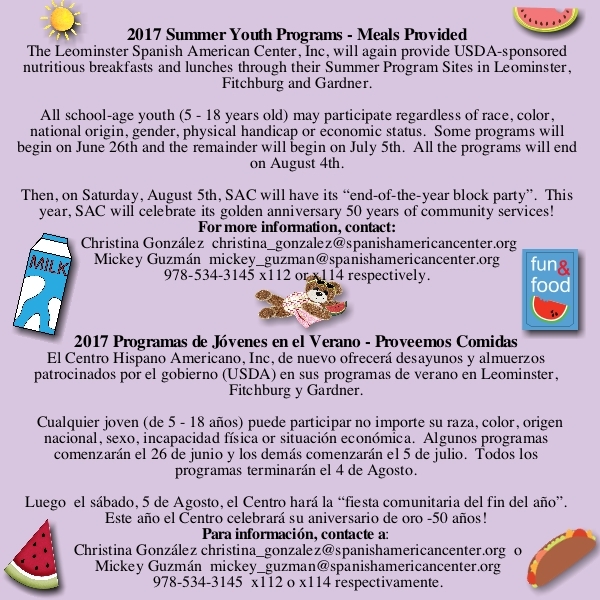 All meals provided by the Spanish American Center are free of charge and open to all school-aged children – (ages 5 – 18). 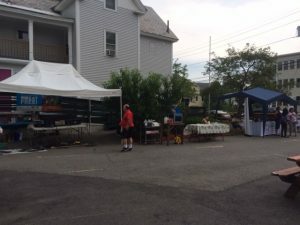 LEOMINSTER — In the hour before U.S. Rep. Jim McGovern was set to hold a roundtable discussion with state and local leaders on summer food programs, he visited with the local residents most at risk of going hungry in the summer. 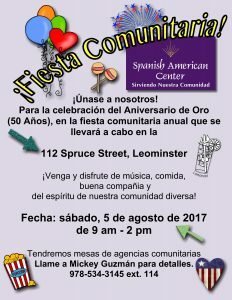 It’s because of this challenge that Leominster’s Spanish American Center has been providing free meals to children during the summer months for more than a decade now. 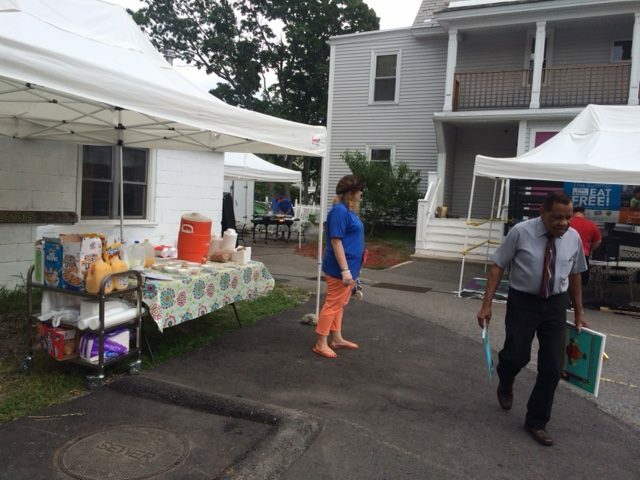 McGovern was on hand Friday as the center’s staff and other volunteers served breakfast to Leominster youths at the Riverside Village Apartments. The visit was just the first stop on the congressman’s annual Summer Food Rocks Tour intended to highlight the U.S. Department of Agriculture’s national Summer Food Service program and the positive impact it has on area families. 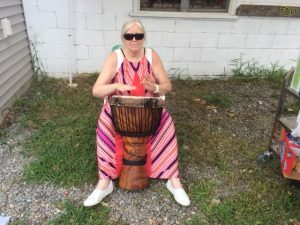 As McGovern explained, awareness of the program has become especially important as federal funding used to feed local children is currently at risk. 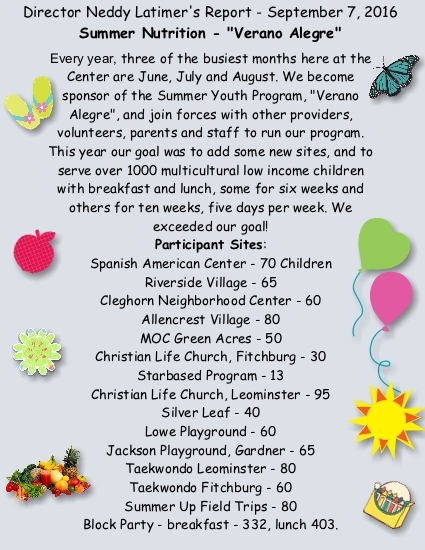 Spanish American Center Director Neddy Latimer said the center coordinates meal programs in and around Leominster over a five- to six-week time span every summer. “This is very important. Altogether right now, with all the sites we sponsor, we help close to 900 kids a day,” she said. 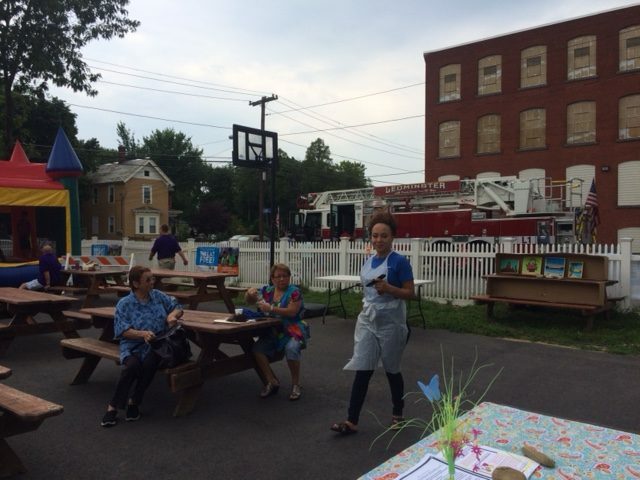 State Rep. Natalie Higgins, who also visited the Riverside Village Apartments on Friday, praised the Spanish American Center’s ability to feed as many local children as possible with the limited funds available to them. “I’m just amazed with the organized chaos that they can keep all of these kids together. 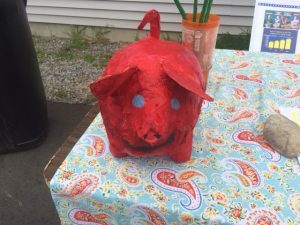 I talked to a bunch of the kids and they said the food is really great and that they really like being a part of this,” said the Leominster Democrat. After leaving Leominster, McGovern visited similar programs run in Athol, Greenfield and Worcester. 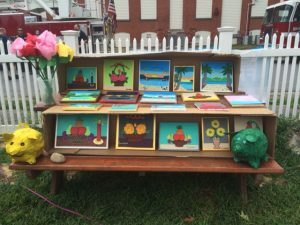 “The Block Party was a huge success, with music, activities, a Moon Walk, presentations by the fire and police departments and Emergency Management Presentation, etc. We hired 20 people to assist with the program and food preparation and hired 6 youth to gain work skills during the summer. 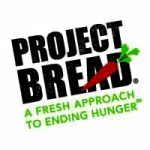 It was an amazing Summer and I am proud to say thanks to everyone involved in one way or another to have made this program possible.This allows us to combat and strive to alleviate hunger. 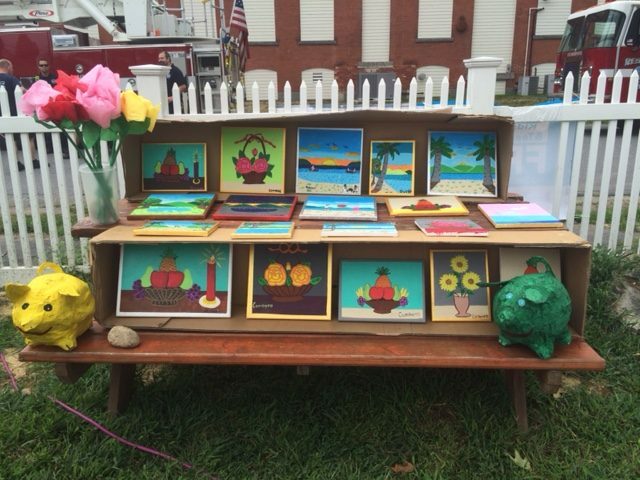 Photos courtesy of SAC’s Sonia Rodriguez! 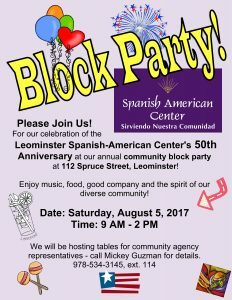 BOSTON — Attorney General Maura Healey, who announced that her office is awarding $300,000 in grant funding to 70 organizations across the state to fund nearly 200 summer jobs for local youth focused on health and well-being, will visit Leominster’s Spanish American Center Wednesday morning. “Summer jobs empower young people to gain new skills and contribute to their communities,” said Healy in a press release about the grants. “Through our healthy summer youth jobs program, nearly 200 young people from across Massachusetts will work in jobs in government and nonprofit organizations focused on health and well-being,” she said. 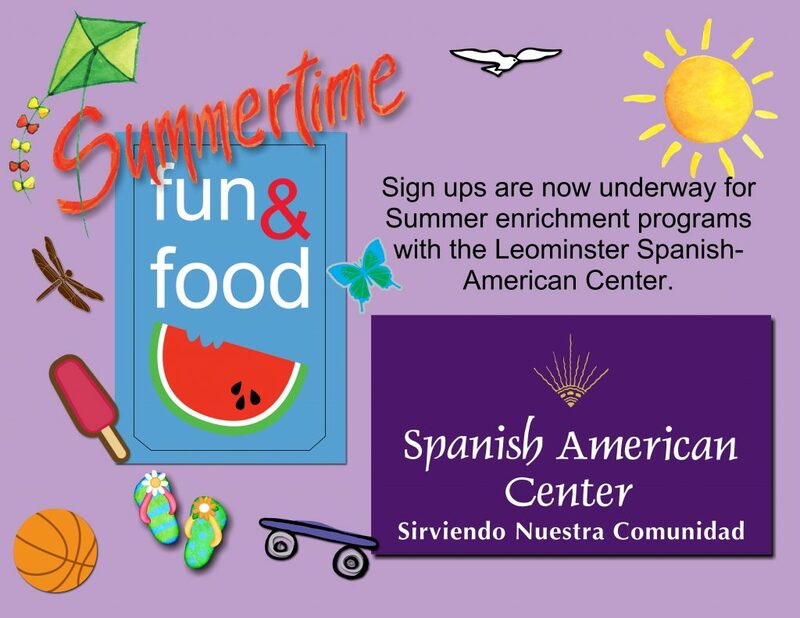 AG Healey will kickoff the third year of her Healthy Summer Youth Jobs Grant Program with a site visit in Leominster to the Spanish American Center at 9:30 a.m. Joining Healey will be State Rep. Natalie Higgins, Leominster Mayor Dean Mazzarella, and Leominster Interim Police Chief Michael Goldman. 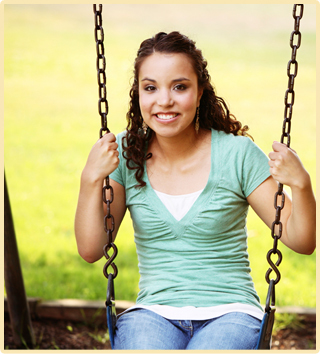 This year’s Healthy Summer Youth Jobs Grant Program is funded with $300,000 in settlement money from the AG’s Office. Beyond increasing employment for young people in the grant funding will allow teens to hold jobs that include working in a community health center, counseling at a summer camp about nutrition, leading cooking classes, and working at a farmer’s market. Examples of jobs that have received funding from the AG’s Office include working as a coach teaching young people about healthy eating, a bilingual health educator, a camp counselor teaching physical fitness and healthy living habits, serving meals to younger kids, designing a community health research project and running a farmers’ market. BOSTON – Attorney General Maura Healey today announced that her office is awarding $300,000 in grant funding to 70 organizations across the state to fund nearly 200 summer jobs for local youth focused on health and well-being. AG Healey will kickoff the third year of her Healthy Summer Youth Jobs Grant Program this week with site visits in Lawrence, Leominster, Worcester, and Springfield. AG Healey’s Healthy Summer Youth Jobs Program will fund jobs for young people at the organizations from July 10 through Aug.25. The final weeks of the Summer Nutrition Program are here! 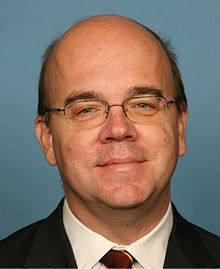 WASHINGTON, D.C. – Today, Congressman Jim McGovern (MA-02) spoke on the House floor to highlight the success of the U.S. Department of Agriculture’s (USDA) national Summer Food Service program in providing healthy summer meals to low-income students in Massachusetts. Congressman McGovern recently kicked off his 2nd Annual Summer Food Rocks Tour – including visits to Worcester, Leominster, Ware, and Orange – to raise awareness about the USDA program, which ensures that low-income children continue to receive nutritious meals when school is not in session. 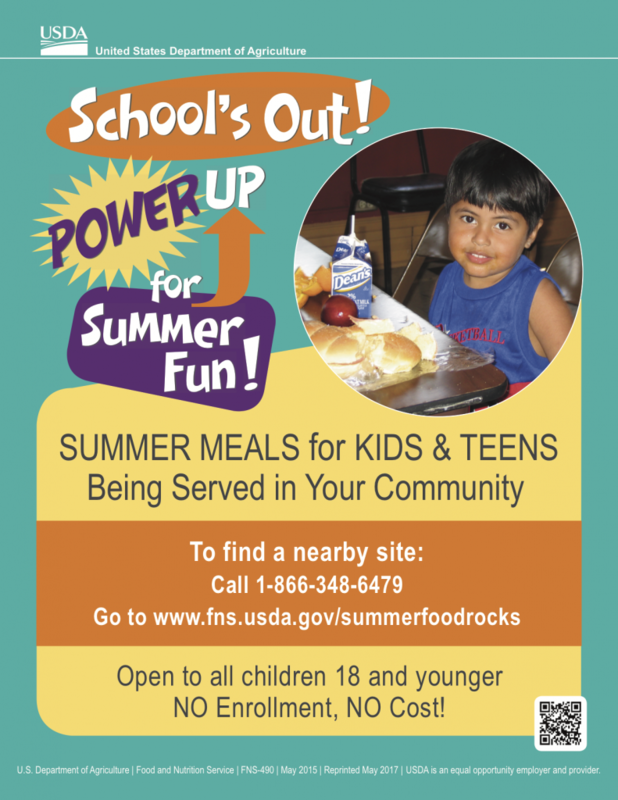 This summer, USDA plans to serve more than 200 million free meals to children 18 years and under. “For millions of low-income students, summer break isn’t as carefree as it should be. For these children, summer is a time of great uncertainty. During the school year, they have access to reliable, healthy school breakfasts and school lunches. But, when school’s out, these children – and their families – are often left scrambling to find enough to eat. “According to Share Our Strength, a leading national partner on summer meals, 43 percent of low-income families say it’s harder to make ends meet during the summer, and they must budget an extra $300 a month for groceries when kids are home from school in the summer. For families already struggling to put food on the table, these can be daunting challenges. 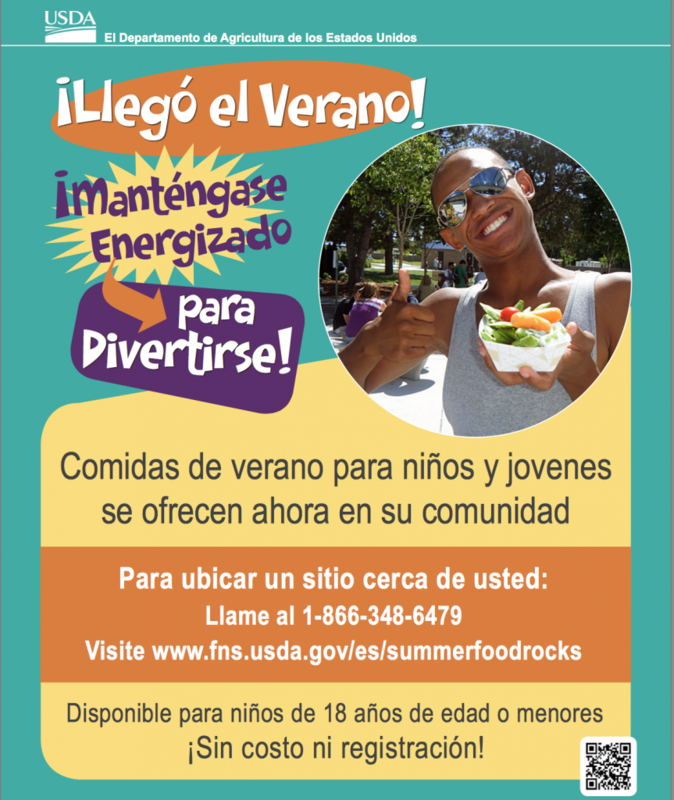 “Summer should not be a time of increased hunger among our children.” . . .